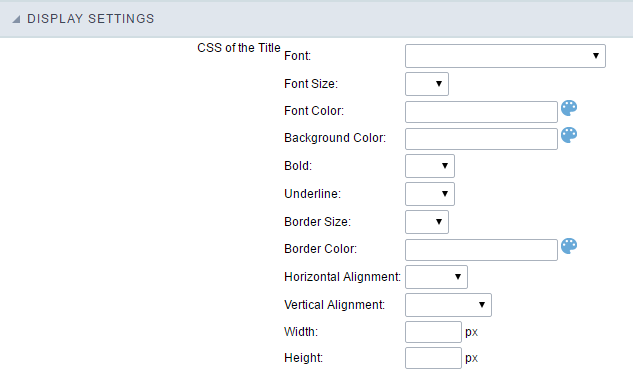 Image (File Name) field Configuration Interface. Progress bar : Displays a progress bar when sending the files to the server. Upload area : Displays a drag and drop area to upload the file. Increment file : Increments the file name if the theirs an existing one with the same name in the upload folder. Subfolder : Subfolder’s name that the files are stored. 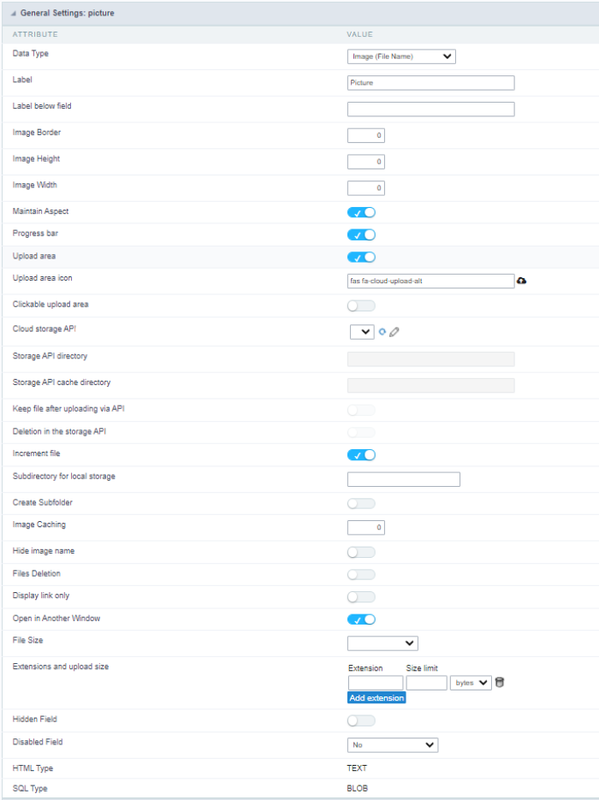 The is sub folder is relative to the directory defined for the Document upload (see the Settings). It is possible to use global variables or local variables to format the name of the subfolder. Create Subfolder : When enabled, it creates the subfolder if not already created. Image Caching : Time in minutes that the image cache will be stored. Hide image name: When enabled, only the image will be displayed without it is name. Files Deletion: Deletes the files from the directory when the record is deleted from the database. Display link only : WHen enabled, you will be presented with a link to open the image in another image with the original size of the image ( without using the redimensioning ). HTML Type : HTML Object that will be used to display the field in the form.